Welcome to Champi Fencing, a division of Nick Champi Enterprises. We are family owned and operated, serving the the Valley with quality fencing products, installation, and service since 1954. In 2006, we estimate that we sold and installed approximately 35 miles of fence - everything from Chain Link to Vinyl. 2007 has proved to be another strong year and is on pace to match 2006. Many have asked if the construction and housing slow down has affected us. The answer is pretty simple: no. While many contractors have let go half of their work force or more; we have brought on 6 new employees in the past 12 months. "We hear that the economy has gone into recession. We apologize, but we have chosen not to participate." He was right and that attitude will continue to carry us forward through this cycle and the next. We do have one other secret that we don't mind sharing-Here at Champi Fence, we just have better customers than everyone else. 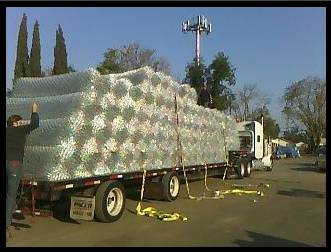 Over the years we have learned a few tricks like buying all material by the full truck load. This helps us to negotiate the best possible pricing. We maintain active accounts with the very best manufactures in the Country. We seek to provide our customers with highest value service possible. It is rare that we are low bid on any project but our long term customers have come to understand that we seem to always offer the "Highest Value" bid on every job. Experience and knowledge helps us prevent costly change orders and specification errors that do not comply with the customers need and expectation. We only send a bill to the customer once the project passes our own strict inspection; sure to follow is the stamp of excellence - the Champi Fence sign is installed.